THIS IS MY PRIMARY KILN. IT IS OVER 20 FEET LONG AND IS SHAPED LIKE A ORCA WHALE. THE KILN IS JAPANESE/THAI DESIGN THAT MY GOOD FRIEND JUSTIN LAMBERT HELPED Me DESIGN AND BUILD IN 2015. IT SITS ALONGSIDE SECO CREEK BEHIND MY STUDIO. 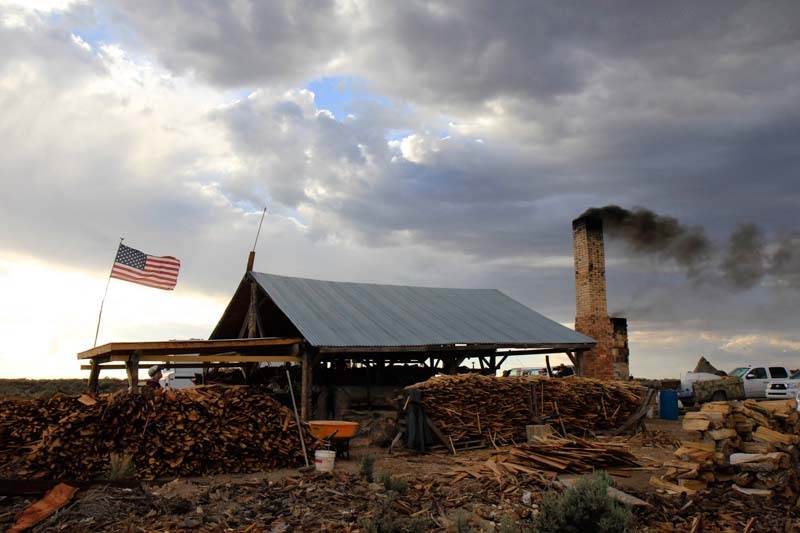 I FIRE THE KILN FOR ROUGHLY 5 DAYS WITH 6-7 CORDS OF PINE, OAK, JUNIPER,, COTTONWOOD AND ELM. THE KIN HAS BEEN DESIGNED TO BE SMOKELESS THROUGH A SERIES OF SCRUBBING CHAMBERS. IT ALSO HOSTs A REAR CHARCOAL CHAMBER. THIS CHAMBER HOLDS SCULPTURES AND IS COVERED WITH 300 LBS OF MESQUITE CHARCOAL AT THE PEAK OF THE FIRING.. This is the first kiln that I helped build with John Bradford and a large part of the ceramic community in 2006. The kiln has undergone several renovations. It was originally 25 feet long but was shortened in 2010 to 18 feet. It is fired for 7-10 days with 7-10 cords of local soft woods. 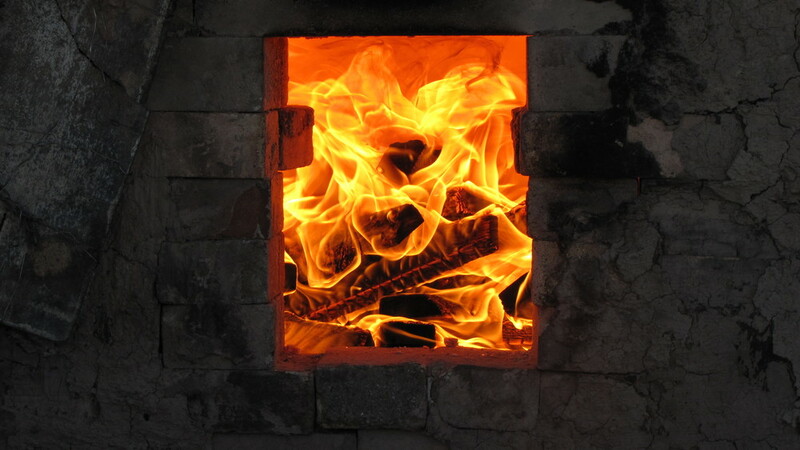 This kiln is fired primarily for flame path and ash development. A lot of the work does not have glaze and relies heavily upon the stacking, firing process and ash development for aesthetic. This kiln is usually fired in the spring and fall and is located 30 miles outside of Taos in Tres Piedras. This kiln was built in 2010 at Taos Clay to help teach workshops and create a kiln the wood fire community could use year round. This kiln has a typical manibigama style however, it does not have a cantanary arch nor, is it side stoked. This kiln can be fired in anywhere from 24-56 hours and goes through around two cords of wood. I generally fire this kiln with aspen and whatever type of hardwood I come across. You also have the option of introducing soda into the back of this kiln for a more glossy surface. These kilns are both located on my studio outside of Taos. These kilns are used primarily to make my high fire decorative functional wares. These kilns use salt or baking soda as a means of glazing the work. I either introduce 2-3lbs of soda into my small kiln or 30lbs of table salt into my large kiln. I am looking for rich colors and glossy surfaces from the build up the salt and soda attaching to the silica in the clay. The two bond and create a glass. The work is either heavily decorated or dipped into local clays that produce rich orange, yellows and red hues and colorations indicative of the high desert New Mexico landscape. The decorative work is inspired from the rich heritage of prehistoric pottery that surrounds the southwest. I built this kiln in 2010 at Taos Clay with the help of a good friend that had been firing with Phil Cornelius in Pasadena, California. The idea is to recreate the pottery that comes form the firebox of an Anagama kiln without having to fire a kiln for several days. The kiln is an old West Coast updraft kiln that has been modified with forced air burners and stoking holes in the door. 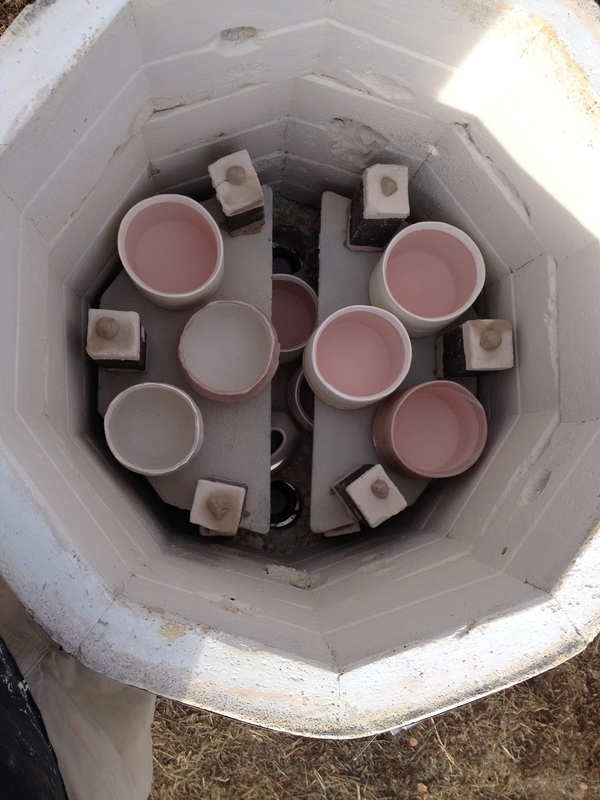 The work placed into this kiln is premeditated to be stacked a certain way or to have specific placement. Generally, all of the work is loaded and separated using large chunks of wadding or a refractory clay mixture. Some of the work is glazed, however, the majority of the work is dependent upon the burning and build up of the charcoal for its decoration. Sometimes this work is re-fired on flashing wadding to embellish the marks produced in the first firing. Approximately, 200lbs of mesquite charcoal briquettes are introduced through the door using an angle iron. 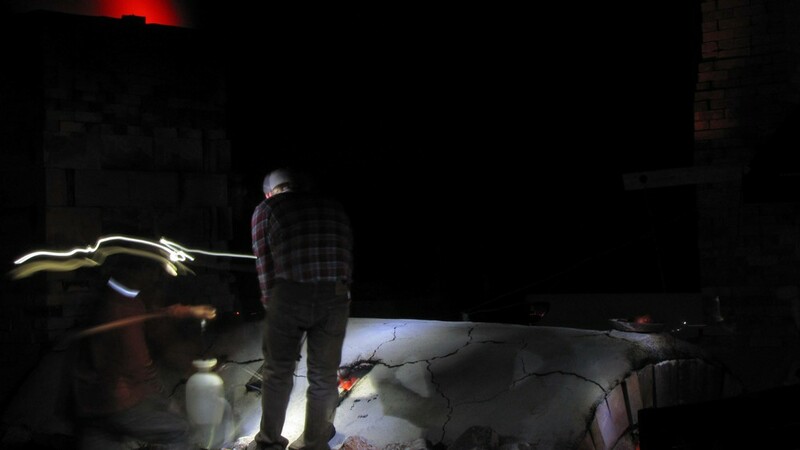 The charcoal forms crusty layers around the wads and other pieces surrounding it. The majority of this work is decorative and many pieces warp and crack due to the intensity of the firing.